Q: Will Baby Pibu™ products work on my toddler? my teen? my husband? me? A: YES! Our products are formulated to be safe and effective for the most sensitive skin- newborns. However, they are just as safe and effective on toddlers, adults and every age in between. For instance, if you or your toddler suffer from mild to moderate eczema, we absolutely encourage you to use Baby Pibu™ products to prevent and treat your symptoms. Order Pibu’s™ Soothing Eczema Care Kit now. Q: Who is Dr. Amy? A: A board certified surgical dermatologist who is also a mother of two. Her products are formulated with the knowledge of a dermatologist and the practicality of a real-life mom— the perfect combination for trustworthy infant skincare products. Read more about Dr. Amy. Q: What gave Dr. Amy the idea to come up with a line of infant products? A: A few years ago as a new mom, she realized the underwhelming options on the market and lack of clear, concise information available to parents of newborns. It sparked an idea that grew into a business plan and has been under development since that point. Read about her story. 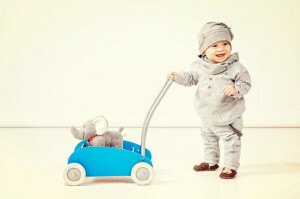 Q: Will Baby Pibu™ introduce additional infant products to the market in the future? A: Yes. We will continue to develop new products for infants. If you are interested in staying on top of upcoming releases, join our mailing list or contact us with specific questions or requests. Q: Will Baby Pibu™ introduce products for moms and/or toddlers in the future? A: Potentially. Baby Pibu™ would love to find success in the infant market and continue to provide safe, gentle and effective products to families. If you are interested in staying on top of upcoming releases, join our mailing list. Q: Where are your products formulated? Q: Have Baby Pibu’s™ products been thoroughly tested to be sure they are safe for newborns? A: Yes. All Baby Pibu’s™ products are hypoallergenic and have been clinically tested by a team of board certified dermatologists. Some of our products even endured and passed additional clinical testing in order to qualify for our national association recommendations. Q: What does it mean to be clinically tested? A: Baby’s skin is inherently more prone to irritation, so it’s important to look for products that are hypoallergenic, irritant free and fragrance free. All of our products have been scrutinized by chemists and doctors and passed multiple tests in a lab (on humans, of course) to ensure they are irritant free. Q: What does it mean to be nationally recognized by the National Eczema Association? A: We went the extra mile to provide you with peace of mind that our products are safe for even the most sensitive skin. Our products were examined by a panel of physicians who specialize in understanding how different ingredients and formulations can affect sensitive skin. We passed additional screening and irritancy tests in order to qualify as a recommended product on their website and earn their seal of approval. Q: What does it mean to be nationally recognized by the Skin Cancer Foundation? A: We went the extra mile once again to provide you with peace of mind that our sunscreen is safe, chemical free and effective for sensitive skin. We surpassed additional screening and tests in order to qualify as a recommended product on their website and earn their seal of approval. Q: There is a lot of hype about unsafe skincare ingredients out there. Can you assure me that your products are free of those ingredients so I can reassure our customers? A: Yes. All of our products are safe for newborns and FREE of all the bad stuff; Parabens, Phthalates, Sulfates, Formaldehyde-releasers, SLS (Sodium Lauryl Sulfate), Peanuts, Dairy, Soy, Fragrance and Dyes. We encourage you to read more about our ingredients and follow our blog to stay on top of the latest medical research. Q: Why should I use Baby Pibu™ products on my baby? A: You can TRUST Baby Pibu™. It is the only complete skincare line on the market developed with the knowledge, experience and practicality of a dermatologist mom. You will have PEACE OF MIND that Baby Pibu’s™ ingredients have been meticulously scrutinized, clinically tested and nationally endorsed, making our products safe and gentle enough to use on a newborn’s delicate skin. You will gain the KNOWLEDGE YOU NEED to feel confident in your infant skincare regimen. We’ve done the research for you. Baby Pibu™ premium products are paired with Dr. Amy’s detailed, easy-to-understand instructions and special tips so that parents can focus less time on research and more time on their tiny bundles of joy. You can also count on us to post the most up-to-date medical research and industry information. No more weeding through the overwhelming amount of information out there on the internet. Q: Someone in my household suffers from a severe tree nut allergy. Can I still use your products? A: Yes. If you want to veer to the side of caution, the only product that you may decide to avoid is Pibu’s™ Baby Butter. It contains Shea Butter which is actually shown by medical data to be safe even for those who suffer from tree nut allergies. Read more about Shea Butter. A: Yes. All Baby Pibu™ packaging is recyclable. A: Never. We believe in cruelty-free testing. We only test on human volunteers in a controlled, clinical setting. Q: I just had a baby (or am expecting one soon). What products do you recommend I start with? A: If you are a brand new parent, we recommend the Newborn Essentials Skincare Kit. It will stock your nursery with anything you may possibly need (including the incredible tips and ‘cliff notes’ on baby skin care) in the first six months of your baby’s life. No need to run to the store in the middle of the night or spend hours researching. It’s all there, color-coded and neatly packed for your convenience. It will also help you determine which products are your favorites so you can order more in full size! A: If you are not a brand new parent, we recommend that you start with Pibu’s Luxury Basics Gift Set, Pibu’s Blissful Bottom Gift Set or Pibu’s Daily Care Travel Gift Set. All of these will give you a few basics to start with so that you can determine what you like best. Q: My baby has very sensitive skin and/or eczema. What products do you recommend? A: We recommend you start with Pibu’s Soothing Eczema Care Kit. It contains both products that you will use the most on your baby’s sensitive skin- one to protect their skin and prevent flare ups and the other to treat their skin when flare ups happen. Q: My baby has diaper rash. What products do you recommend? A: Welcome to parenthood! Most babies will experience some sort of diaper rash. We recommend you start with Pibu’s Blissful Bottom Gift Set. It contains a preventative product to protect their diaper area and a product to use to treat and soothe their red little bottoms. Q: I am a retailer who would like to carry your products. How do I sign up for your wholesale program? A: We offer free samples to physicians participating in our physician program. Contact us to learn more about our physician program. Q: I just ordered from your website. How long will it take to receive my order? A: Depending on where you live in the USA, orders should arrive within 3-7 business days. Q: I just ordered from your website. What is the return policy? A: Full refunds are available on unopened products within 15 days of purchase. Q: Can I send a gift to a friend from www.babypibu.com? A: Yes! We believe Baby Pibu™ products are some of the best gifts you could give a new parent. When you are checking out of your online shopping cart make sure to include the shipping address where you would like to send the gift and mark the box at the bottom of the page to specify your purchase as a gift. You can even write a short note. We will remove any tags with pricing and your gift will be delivered with a bow and gift tag with your hand written note.